What can I find in EUR-Lex? How often is EUR-Lex updated? What are the series, subseries and special editions of the Official Journal of the European Union? What is consolidation? What legal acts does it include? What are COM, JOIN, SEC and SWD documents? Are documents available in all the official languages of the European Union? Which documents can I find in Irish? Can I reuse the entire contents of the EUR-Lex database? How? How to create stable links to documents and notices ? 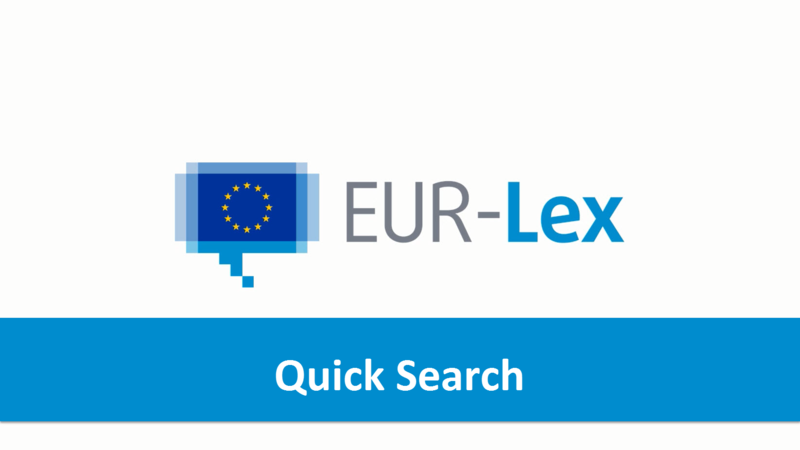 What are the features of the EUR-Lex Quick search form and how can I use it to find documents? Please watch the tutorial to find out more. You can also view this tutorial directly on YouTube. The tutorials are only available in English.